Helping nurses provide the best care possible is at the heart of new guidance on professionalism from the Nursing and Midwifery Council and chief nursing officers from across the UK. The guide sets out what professionalism looks like in everyday practice, and how the values of the code should be at the centre of all nursing and midwifery practice. While everyone knows what good professionalism is when they see it, it can be hard to define, the regulator says. ‘Being an inspiring role model working in the best interests of people in your care, regardless of what position you hold and where you deliver care, is what brings practice and behaviour together in harmony,’ the document states. Called Enabling Professionalism in Nursing and Midwifery Practice, the document defines professionalism as autonomous evidence-based decision-making by members of an occupation who share the same values and education. Professionalism ensures the consistent provision of safe, effective, person-centred outcomes that support people and their families and carers to achieve an optimal status of health and wellbeing. Professional nurses and midwives must demonstrate and embrace accountability for their actions. Encouraging autonomous and innovative practice. Providing appropriate staffing with the right skill mix and funding for training. The framework aims to promote professionalism in nursing and midwifery through focusing on the code and revalidation, which was introduced in April 2016. The report of the Mid Staffordshire NHS Foundation Trust public inquiry, published in 2013 in response to a decline in standards at the struggling hospital, identified a need for professional development in nursing. The guidance is clear that, to maintain professionalism, nurses have responsibilities. These include learning and developing continuously, being a role model for others, raising safety issues, understanding referral pathways, and delegating appropriately and safely. Supporting colleagues and students, providing meaningful feedback and celebrating success are also important. Registrants should make the most of the learning opportunities presented by revalidation and the appraisal systems to ensure they draw on up-to-date evidence in their practice. 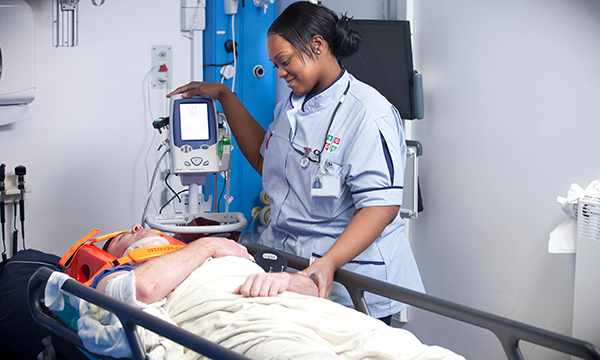 Nurses must also work with other professions, seek support from professional bodies and organisations, and develop themselves and others to lead strategically. Treating others with a positive regard, and demonstrating positive behaviours and attitudes towards diversity, are also part of professionalism. Wendy Preston, RCN head of nursing practice, says: ‘This is a concise and practical document containing useful information for all nurses. ‘It should help shape the direction of nursing, and makes clear that professionalism is about being accountable for your actions and knowing your own competence. ‘The document is relevant to every nurse, whatever their level, as all nurses are responsible for leadership, role modelling, and evidence-based autonomous practice every day. ‘Along with the ongoing review of preregistration standards for education and introduction of revalidation, this document sets out the foundation of nursing. Enabling Professionalism in Nursing and Midwifery in Practice. The Code for Nurses and Midwives.